My favorite is Dumbo, the Flying Elephant at night. The view is just breathtaking. 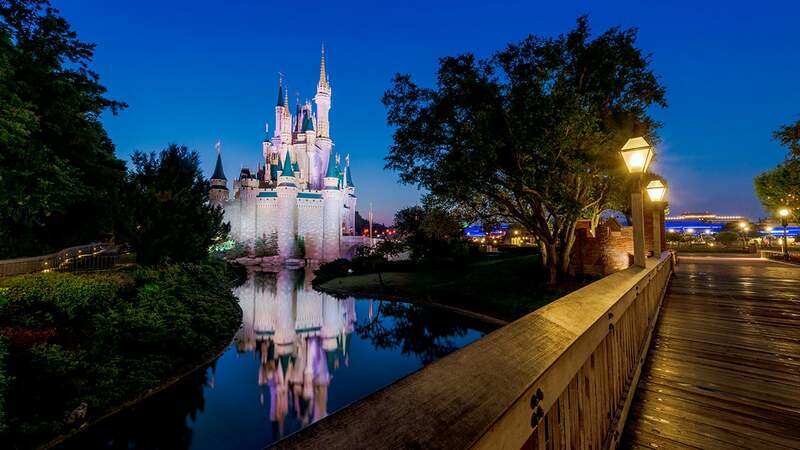 Starting today, guests will have the opportunity to experience more of that nocturnal splendor and enjoy more time in the park with “Disney After Hours,” a special, ticketed event at Magic Kingdom taking place on select nights throughout April and May. FYI: Admission to this special event is limited. You might want to hurry and book tickets ASAP. To purchase tickets, guests may call 407-827-7185. We took an earlier flight on 5/12 to arrive in Magic Kingdom just in time for fireworks. Got our After Hours credentials and we were off!! Our most favorite Disney experience yet. 17 attractions in three hours. Rode Mine Train 8 times to commemorate our 8th wedding anniversary (our reason to celebrate). We enjoyed the AP discount for this one, but we would happily pay $150 for the experience we had that night. It was perfection! Truly hope this is offered again in the future. Will you be doing this in Jan 2017? Please please please? I just heard they are discontinuing them for future months:( was hoping we could hit one in August.. I have been to Disney many times but the after hours event was one of the best times I have ever had. It was absolutely magical! My daughter and I both have a wonderful time. There was no lines and the weather was very pleasant! Can’t wait for the next extra magic hours offers so we can go again. I thought it was worth every penny. BEST Night ever! 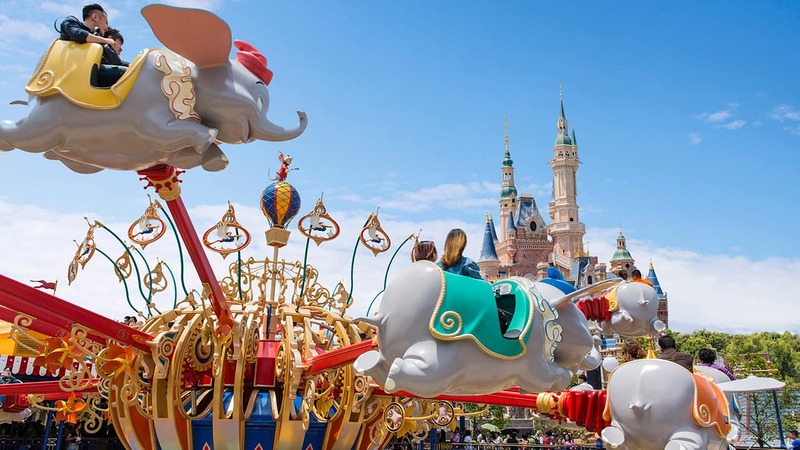 -Would you rent Magic Kingdom for $150 dollars? If the answer is yes, then the Disney After Hours event is for you. That is what it felt like on April 21st at 11pm when my husband and I tried out After Hours. Disney’s After Hours is a special ticketed event that allows you to stay for an additional 3 hours after typical closing hours. For years, my husband has been saying Disney could charge double the admission and guests would have a better experience. What would you pay to get a low park attendance day? As we had been longing for the “good old days” of being able to experience the park without massive crowds, we decided $150 each was a price we could afford. We got so much more than expected! The first bonus is that Disney After Hours limits the ticket sales to guarantee this experience. April 21st was not sold out; therefore, we benefited from a low attendance, low attendance event. Even if the attendance had been doubled this evening, my husband and I agree that it would still have been worth the money. It was not just the elbow room that thrilled us, it was the large variety of walk-on attractions – from Peter Pan’s Flight to the Seven Dwarfs Mine Train. As the night grew the positive experiences increased. Not only were you able to walk on the attraction but you could choose your ride vehicle. Front car of the Mine train? Back car of Big Thunder Railroad? It was your choice. Can you imagine being the only guest on the King Arthur’s Carousel or the Mad Hatter Tea Cups? What a joy it was to be all alone in the Darling’s house, watching Tinkerbell fly around and playing the shadow bells to your heart’s content. The park seemed so large as we traveled from land to land, enjoying what each had to offer. On Main Street, the transportation was up and running. Guests could travel down Main Street as it was meant to be. Casey’s Corner continued to sell its foot long hot dogs. There were so many stations offering free bottled soft drinks and Mickey Bars! Yes, they had other ice cream, but on a magical night like this, it should be shaped like Mickey. I believe it is safe to say everyone in the park was happy, no screaming children or disgruntled grandmothers. The cast members themselves were enjoying the less hassled atmosphere. The Jungle Cruise captain seemed a bit cornier this evening, and the City Hall cast members were busy as guests stopped in to thank them. One cast member said it had been the best shift of her life. So much of what we love about Disney was enhanced by this opportunity to experience the park in this low crowd, low stress way. We all agreed the longest lines at the event were for photo passes – who’d have thought? Photo pass cast members continued to take the iconic pictures – but this time, without having to navigate a shot around the crowds. The ferry boat and busses are the only options when leaving, yet there were no bottle necks. Listening to the lucky guest talk about the experience was a delight. When one family enthusiastically reported to have taken pictures and having conversations with characters, I realized there really was something for everyone. I have a question, do you still have to pay regular park admission if you arrive at thr time of special ticket event starts? I cannot believe that someone would even think of an idea like this. The park prices are so ridiculous to begin with and now this option that is so expensive. I’m not getting the concept. So, if you don’t pay for the extra few hours at night or the extra 2 hours in the morning, you won’t be able to ride any of the popular rides? With the Very Merry Christmas and the Halloween option, you do pay extra and everyone without the special wristband has to leave. So, if you are in the Magic Kingdom on such dates, you can’t take advantage of extra magic hours or will it be a day where they don’t offer extra magic hours.